AMERICAN LUXURY ICON. Representing a pinnacle of style and elegance, the Exotic Lincoln limousine can fit 10 people. With our Lincoln limousine rentals classic Limousine style, you can never go wrong. 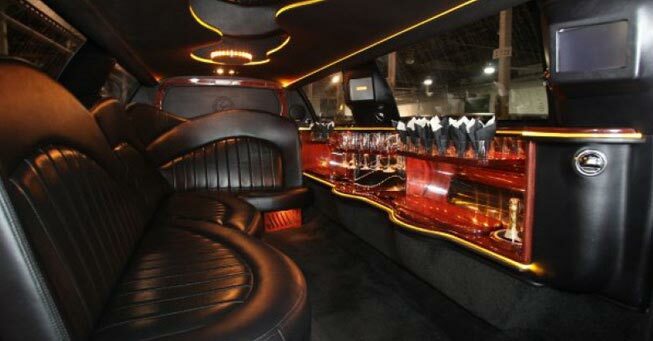 Our Lincoln 120 Limousine comes with all leather J-Seat, sleek Pearl White Bar, Party/Club upgrade package includes 2 LCD TVs, DVD/CD with 5000 watts Kicker sound system, Fiber Optic Mirror surface in Bar and Headliner, Club style strobe lights and Laser Light creates a perfect party atmosphere.